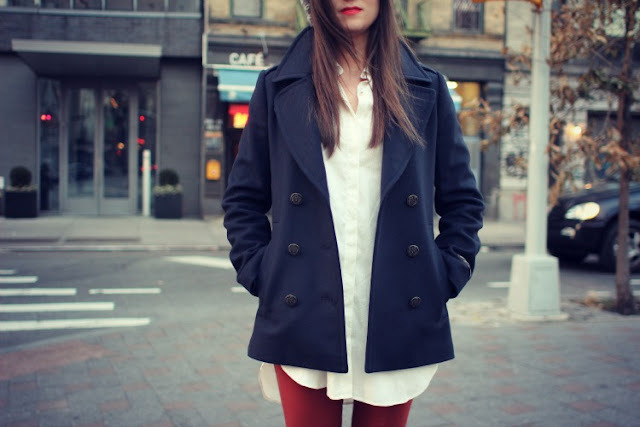 The perfect navy pea coat, from one of their in-house brands, T. Babaton. Double-breasted, hits at the hip, a stiff collar and incredibly warm. What more could this girl want? Such a great classic! Looks very chic! I buy about 3 pea coats each winter, but I don't have a navy one. My eyes will definitely be open for one. This look is great! It looks fabulous! Such a gorgeous coat and one you'll have for years Such a great classic! Looks very chic!